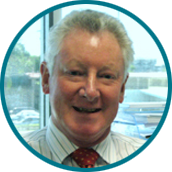 Following graduation from the University of Queensland in 1971, Dr Robinson commenced a long association with Royal Brisbane Hospital as a Resident, Medical Registrar and ultimately Visiting Consultant Gastroenterologist. He completed his physician training in both general medicine and gastroenterology. Dr Robinson subsequently pursued his interests in autoimmune hepatitis at the University of Queensland and undertook studies in parental nutrition in Toronto. He commenced private practice in 1983 and has continued to refine his interests in luminal gastroenterology. In 2015, Dr Robinson is reducing his private practice and will continue to perform open access endoscopy lists for GIE. Dr Robinson undertakes open access procedures for GIE at Chermside Day Hospital, Wesley Hospital and North West Private Hospital.